This is IT! 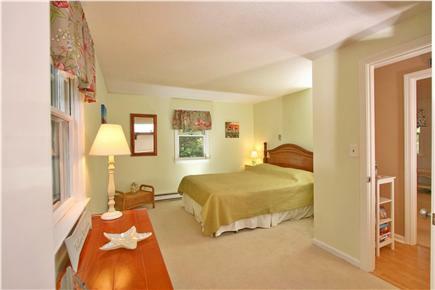 The Sandy Bottom Retreat. 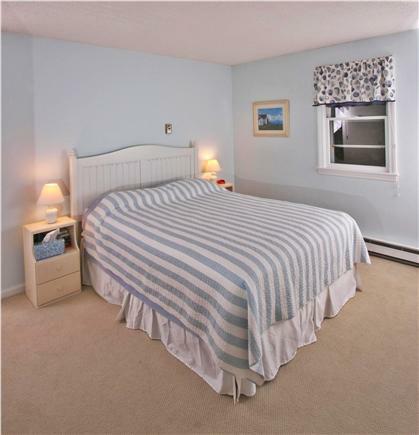 In the heart of the National Seashore this bright and open 4 bedroom Cape will be your home away from home. 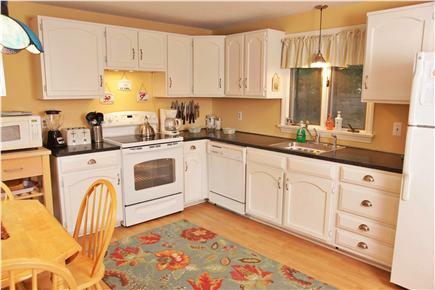 A spacious well equipped kitchen, central A/C, and a separate dining area that opens to the deck. 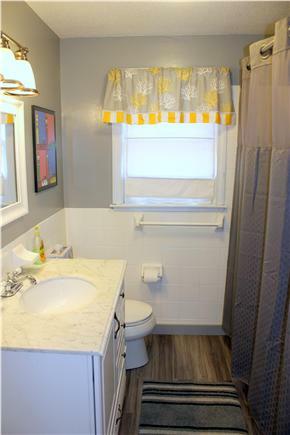 The master and guest bedrooms are on the first floor with a full renovated bath while the third and fourth bedrooms share the half bath on the second floor. After a day at the beach you can refresh in the outdoor shower with changing room. 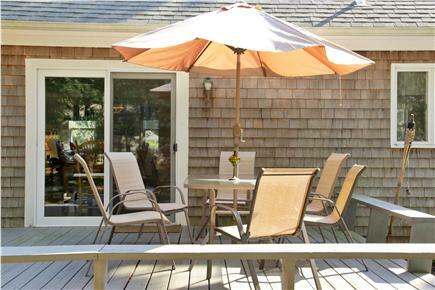 Then relax on the deck overlooking the shady back yard with a hammock and tire swing as you plan the evenings lobster dinner with s'mores by the fire pit. Quick and easy access to the CCRT bike trail through nearby path, Short walk to bike rentals, ice cream, clam shacks, mini golf, general store, and Dunkin Donuts. Long-Term Rental (1 month or more): Available for long-term rental during the off-season. Price is $2000 per month or $700 per week. 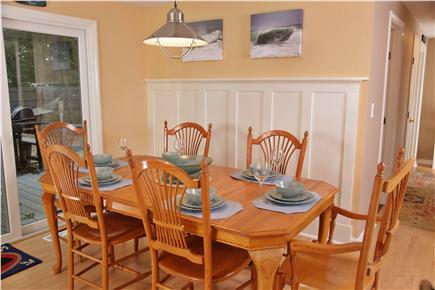 Additional pricing info: Spring & Fall Weekends Just $650 (The Cape at its BEST! ), State and local taxes of 12.45% will apply. Home is located in a great area. 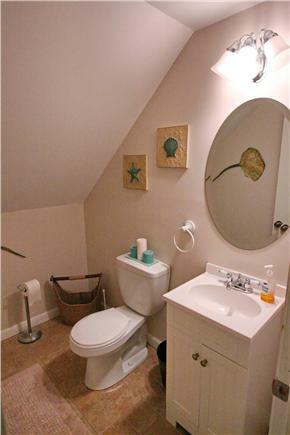 Close enough to route 6 with a traffic light for easy turn navigation, but located in a quiet, small neighborhood. Short bike ride to the bike path and short car ride to Nauset Light and Coast Guard beaches. Also a short distance to general store for incidentals, Sam's for best deli sandwiches around, and ice cream and DD close by. 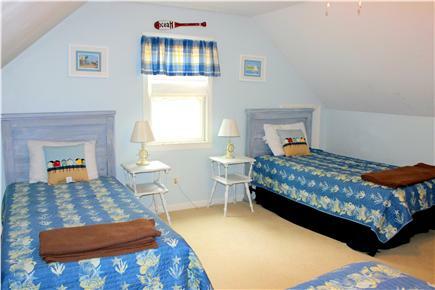 House has two good sized bedrooms down and two bedrooms up for kids or overflow guests. House was well stocked with all of the kitchen necessities and had an outdoor gas grill. Having the central air was a nice benefit as we had an unusally humid week. We've been to the Cape multiple times over the last 15 years and this is the first rental we've all agreed we'd love to stay at again in the future. We really enjoyed our stay in this cottage. It was a very comfortable home and seemed to have everything we needed. Having the bikes and beach items available for our use was super helpful for us since we do not live within driving distance of Eastham. The cottage design is up-to-date with a soothing paint palette. The kitchen had every gadget we needed. 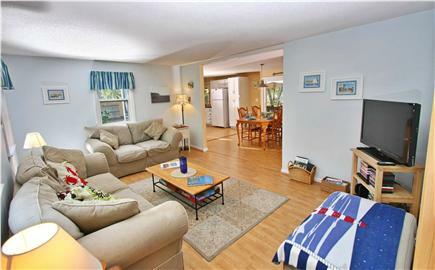 The cottage was close to our favorite beaches and not far from the popular eateries in the area. The street was quiet & peaceful. Wouldn't Hesitate to Stay Here Again! 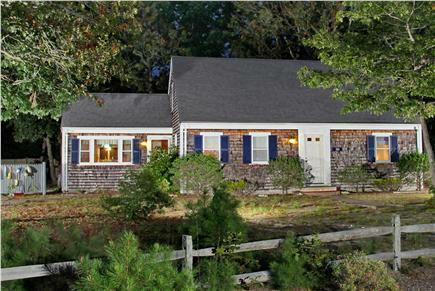 Just what we were looking for - a nice, clean home, on the ocean side to spend some quality family time on the Cape. Jamie and Melissa were wonderful to work with. I wouldn't hesitate to rent this property again. The house was great, very spacious and 4 bedrooms. The owners were great to work with as they outlined all steps that we needed to take beforehand and got us our security deposit soon after the stay. Thanks for having us.